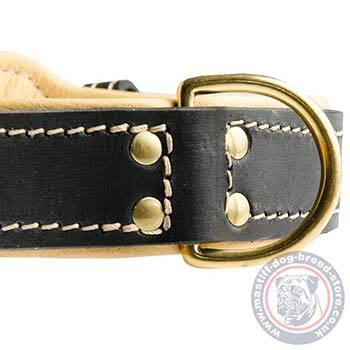 Choose this soft padded dog collar with a strong buckle and a D ring. Sizes: 19-40 in (48-100 cm). Colors: black and brown. 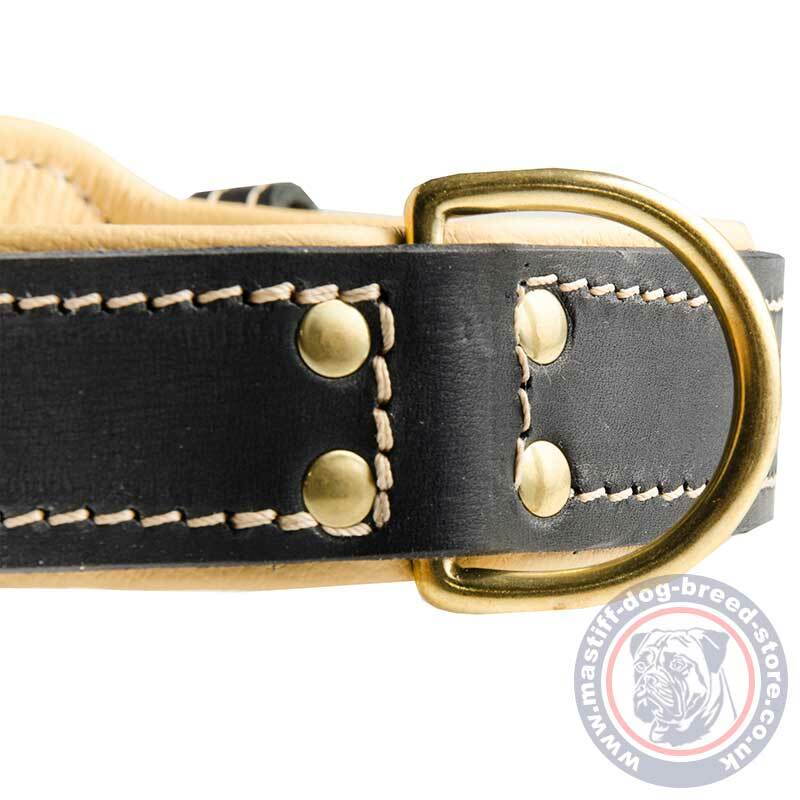 Thick dog collars are made of 2 ply leather: strong thick surface leather and soft calve leather lining. Both layers are reliably stitched with strong and elegant white thread. These thick dog collars are perfect big dog collars for large dogs like Dogue De Bordeaux and other mastiffs. 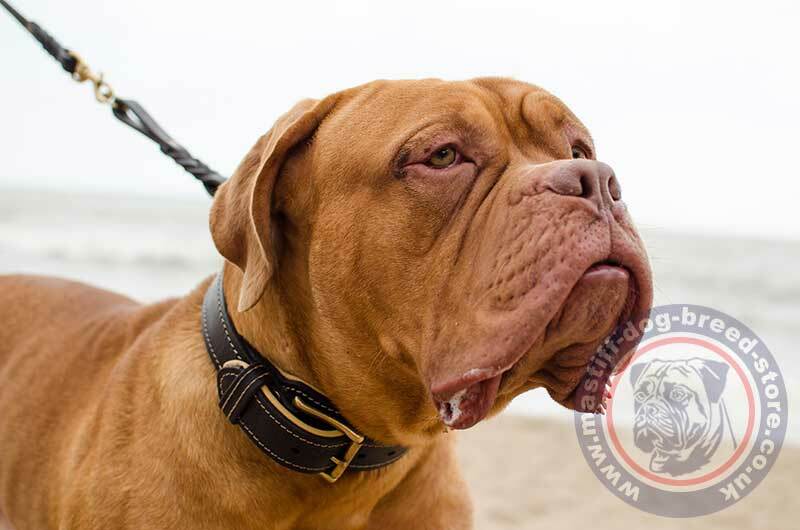 Dogue De Bordeaux collars made of 2 ply leather, soft padded are comfortable and reliable in use. 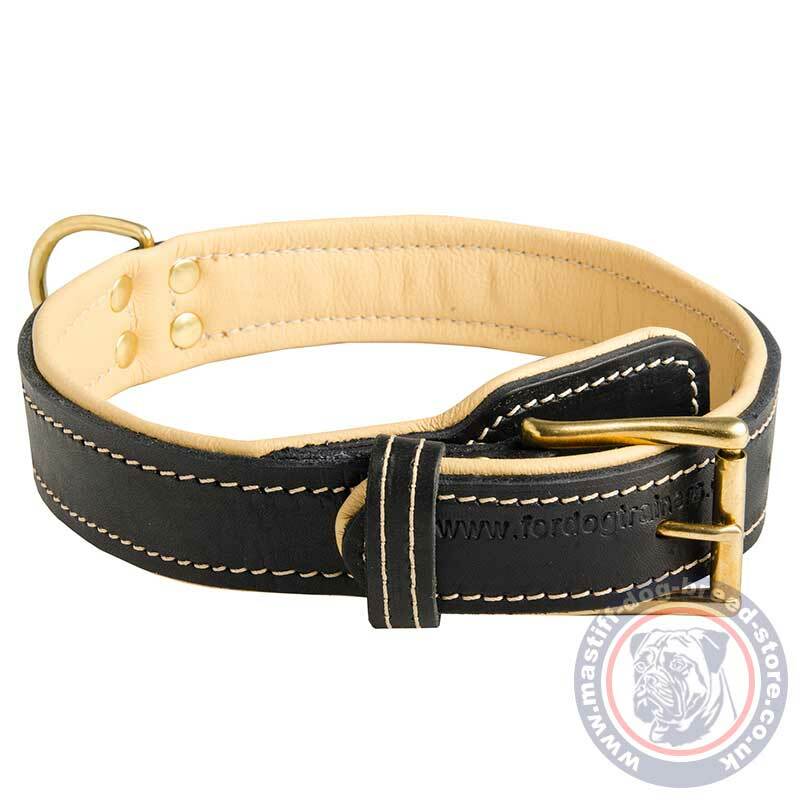 It is a classic design of a leather dog collar with buckle that may be used in many situations: dog walking, training, service, control, vet visiting, control in public etc. These dog collars are extremely durable for big dogs. 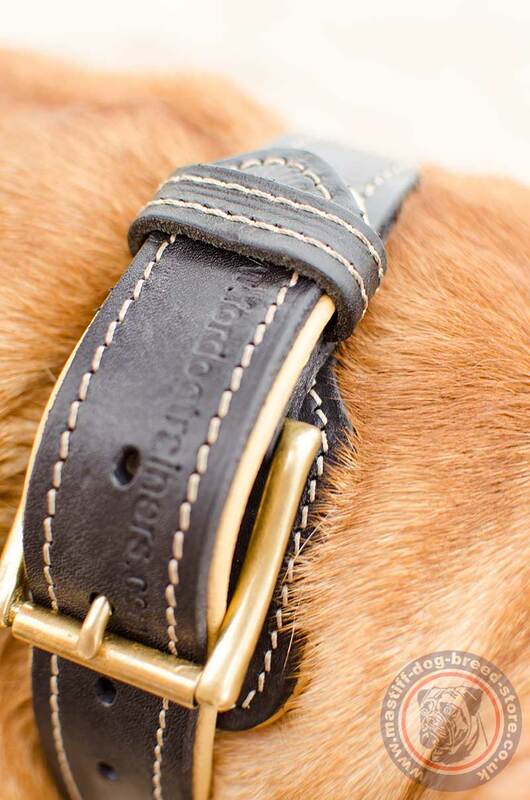 Soft leather dog collars will prevent rubbing of dog skin and short mastiff fur. We use top quality natural leather. It is well done, waxed and polished at the edges to serve you as long as possible. Our advices will help to prolong the life span of leather dog collars. The Best Choice for Your Big Dog!